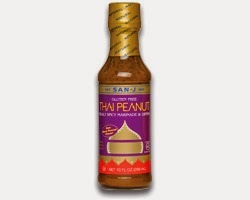 Have you tried the new certified Gluten-Free Thai Peanut Sauce from San-J? I was blessed to receive it from San-J in exchange for my opinion on the product. I did not get paid to write this article. The views are my own. I actually don't accept many products any more. I prefer to do things myself to make sure I have quality ingredients in my body. That is what I love about San-J. They care about the ingredients they use. You can recognize all ingredients that are on this high quality glass bottle. Another selling point because I am not a fan of plastic and the possible hazards that leak into our food. Use this Gluten-Free Thai Peanut Sauce when you are in a time crunch. It is perfect for adding a tasty Thai touch to any meal. They did the work for you, and it is good work! Using this sauce I was able to make this simple pad thai from start to finish in 15 minutes. 1. Bring 4 cups water to a boil in a large saucepan. Remove from heat. 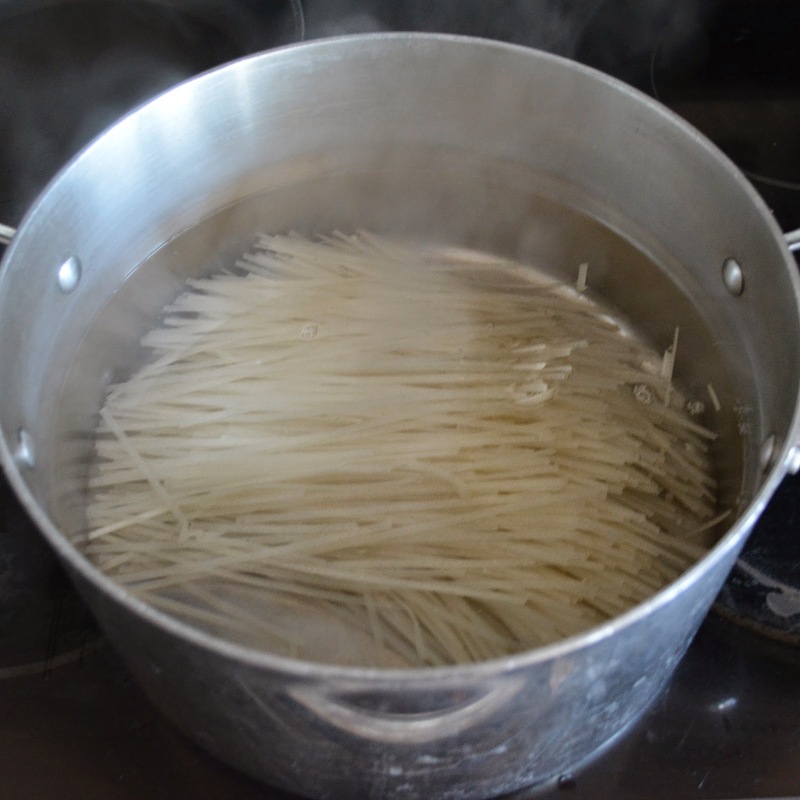 Add rice noodles; let stand for 8-10 minutes or until noodles are soft but firm. Drain and rinse under cold water. Set aside. 2. 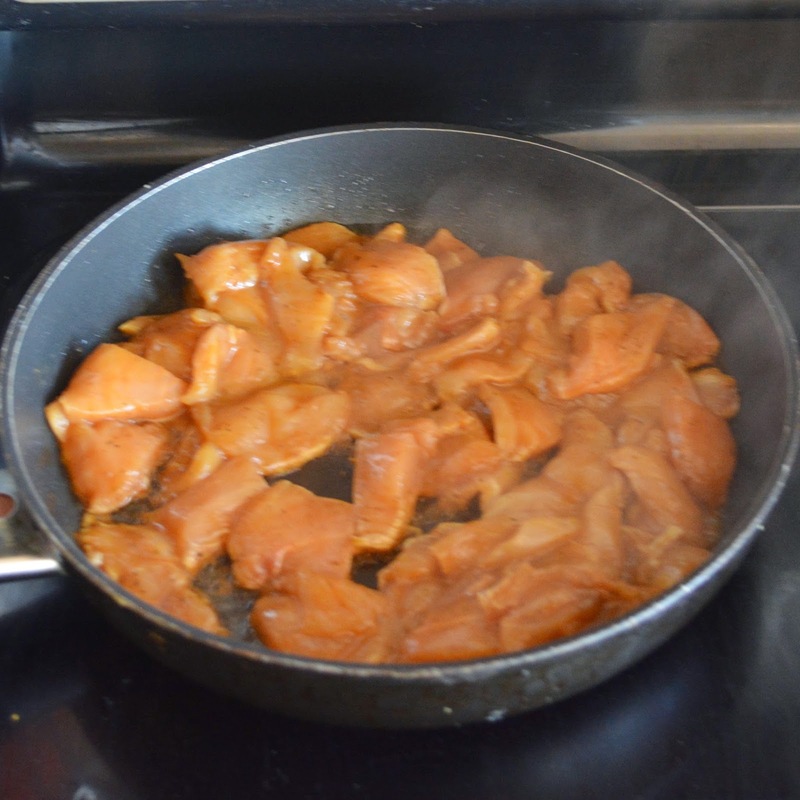 In a large bowl add sliced chicken and 1/4 cup of the Gluten-Free Thai Peanut Sauce. Stir well to coat. 3. Heat a large skillet over medium high heat. Add sesame oil, and coated chicken. Cook until cooked through. Time will vary depending on how thick you cut your chicken. Mine took 5 minutes. 4. Top with bamboo shoots, water chestnuts, and remaining sauce. Serve over rice noodles top with green onions and crushed peanuts.